Cover artwork: The Henry VII Chapel, Westminster Abbey. 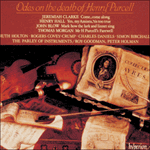 After Purcell’s death at the age of only thirty-six, several leading musicians were moved to compose odes in tribute to him. The grandest, laid out for soloists, chorus and full orchestra, is by Clarke, but incomparably the finest is Blow’s Ode on the Death of Mr Henry Purcell ‘Mark how the lark and linnet sing’, modestly scored for two ‘countertenors’ (who in the period were simply light tenors, singing almost entirely with the full voice and slipping into falsetto only for the very highest notes), two recorders (instruments closely associated with mourning), and continuo. 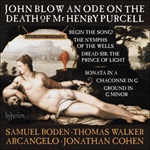 Blow’s music rises to the same lofty heights as its superb elegiac poem, by John Dryden, the greatest poet of the age and another close associate of Purcell’s. (Dryden nevertheless made one mis-step, describing Purcell as ‘the god-like man’; hearing his former pupil and lifelong friend deified evidently stuck in Blow’s craw, for he substituted what turned out to be the best known verbal phrase in the work: ‘the matchless man’.) The music is expansive, and compelling in its structural logic. It opens with a majestic duet in two movements (sombre common time, followed by triple), both with recorders. Next comes an extended solo in three movements, the first of them without recorders and focusing the hearer’s attention on declamatory vocal writing that is as eloquent as Purcell’s best. The ode ends with another two-movement duet (again first in common time, then triple). Both duets display all Blow’s formidable command of counterpoint, while the solo writing is consistently expressive in the highest degree. 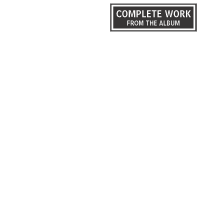 Indeed, the work is not merely one of his finest—and very obviously heartfelt—but one of the most outstanding musical achievements of its entire period.